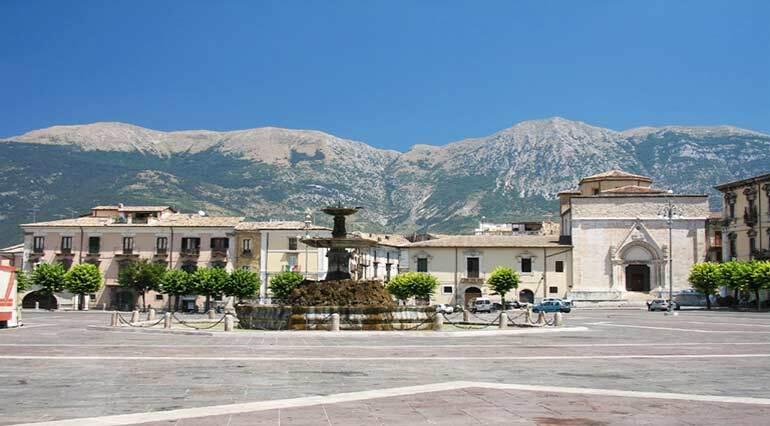 The city of Sulmona is located on a plain, about 350 m above sea level, in the south part of the wide Peligna Valley, in Central Abruzzo. 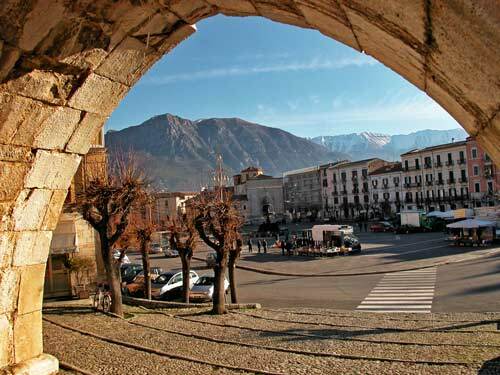 Located in the heart of Abruzzo, close to the National Park of Majella, Sulmona is worldwide known for the centuries-old tradition in the production of confetti. It is a quiet town that guarantees a healthy life, due also to the easy accessibility of the many areas used for park and green areas that surround it. 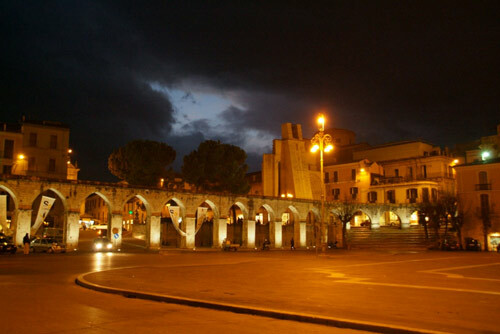 The town of Sulmona was also the set of such films as “Fontamara (1977)”, “Parenti Serpenti (1992)”, “The American (2010),” “Un Natale coi fiocchi (2012)”. 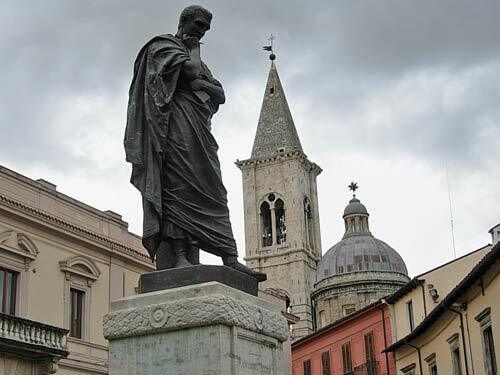 The ancient writers, among them Ovidio and Silio Italico, agree on the remote origin of Sulmona, that can be connected to the destruction of Troy. 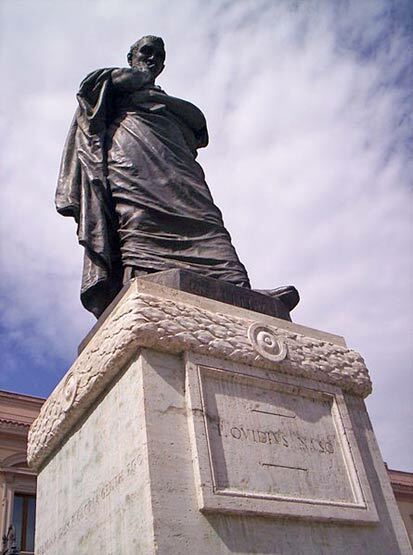 The city’s name derives in fact from Suleiman, one of the companions of Aeneas. The first historical information, however, we hear from Tito Livio citing the oppidum italico and tells how the city, despite the lost battles of Trasimeno and Canne, remained loyal to Rome closing its doors to Hannibal. In the Church of San Gaetano were found remains of the Roman road pavement with traces of foundations of a adjacent house. 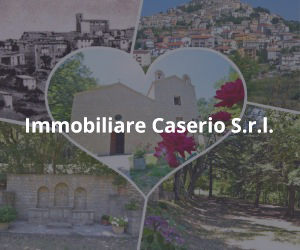 The flooring and other archaeological discovery, made in other areas of the old town, confirm the location of the Roman Sulmona about a six-footer from the floor and present the hypothesis that the old network is almost coinciding with today’s road network of the historical city. 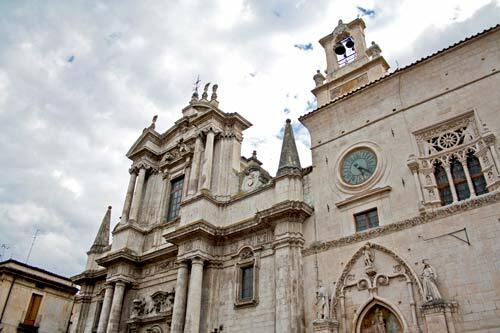 Another very important structure is the Complex of Santissima Annunziata. 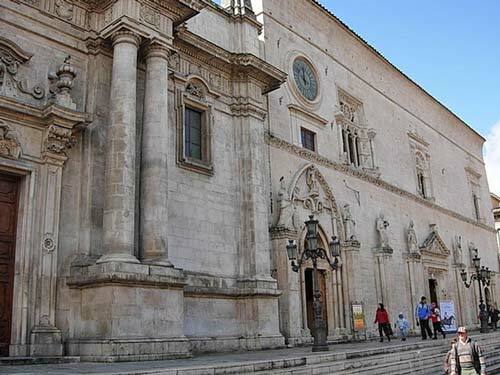 It is the most famous monument of Sulmona city and is considered among the most significant in southern Italy. The main entrance of the complex is located in the Square of the Annunziata, although other interesting visual glimpses of the building, especially for architectural interest, are admired by the adjacent streets, Via Pantaleo and Via Paolina. 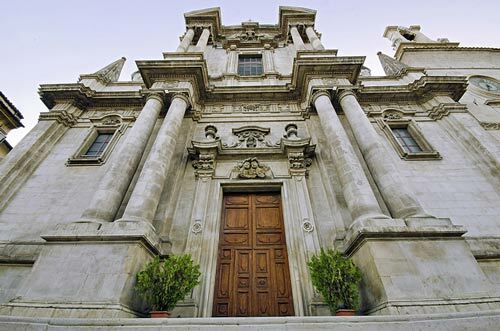 The construction of the adjoining building to the church began in the fifteenth century and lasted for nearly two centuries. The earthquake of 1706 and the renovations of the nineteenth century until the last in 1968, have fundamentally changed the inside of the building, however, the global architecture, especially as regards the facade and the general plan, in addition to walling, remained more or less unchanged. 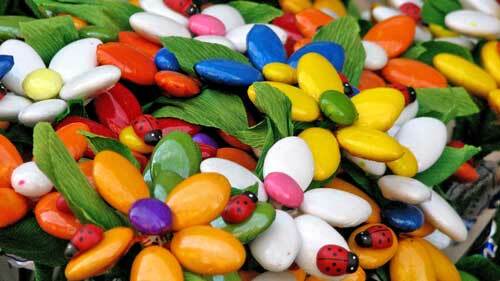 Today Sulmona is famous for the high quality production of confetti, whose techniques and recipes are jealously handed down for centuries, under strict prerogatives craft. 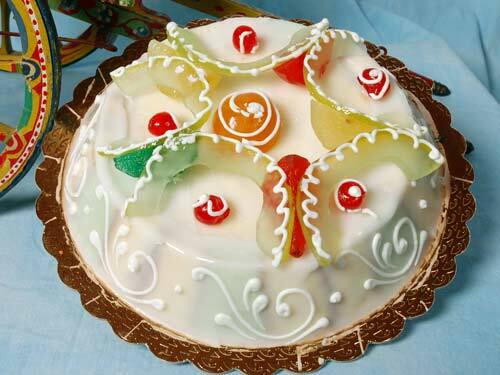 Not only confettis but also sweets such as nougat craft, stuffed boots and chickpeas, traditional Christmas cakes, fiadoni (sweet cheese), typical for Easter, and the queen of cakes, cassata of Sulmona, made with sponge-cake and crispy creams. 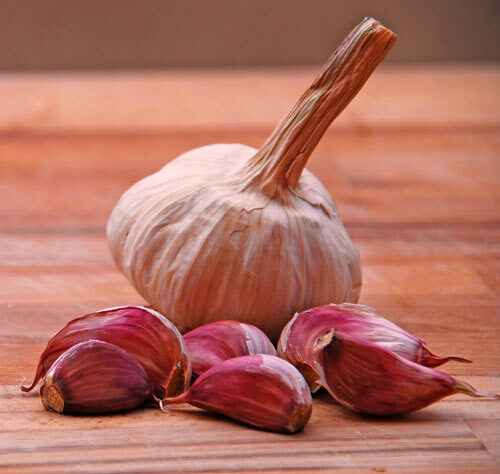 Gastronomy of Sulmona employs many horticultural products, among them stands out the red garlic of Sulmona, unique in Italy for the wine-red color of the robes, as well as for the particularly intense flavor. Besides the ever-present guitar macaroni served with lamb sauce, the “sagne” pasta with beans and sheepmeat, the particularities of authentic local cuisine is the food use of unusual ingredients. 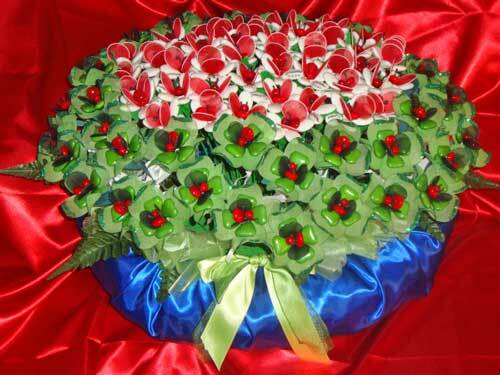 Among them we remember the sod floral scapes garlic, prepared boiled in salads or preserved in oil, and zucchini flowers, passed in a batter and fried. 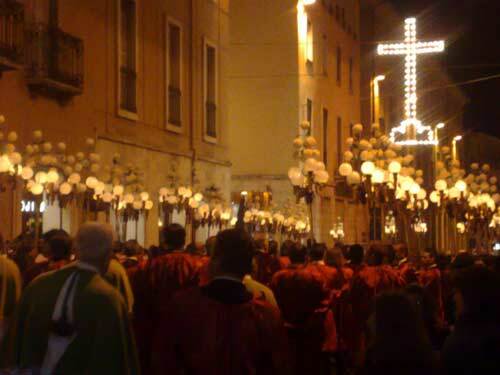 On the occasion of St. Joseph, in the late evening, the various districts of the city lit huge bonfires in Piazza Garibaldi, creating a fascinating show, surrounded by songs and dances. 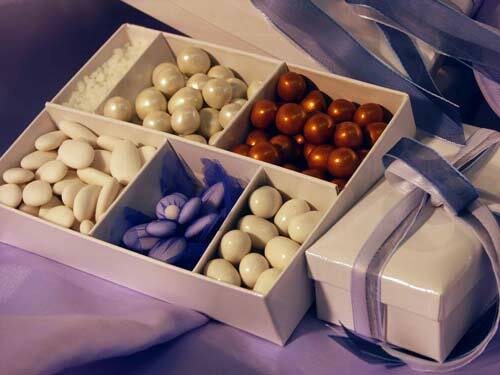 In recent editions, there are also some stands with local products. 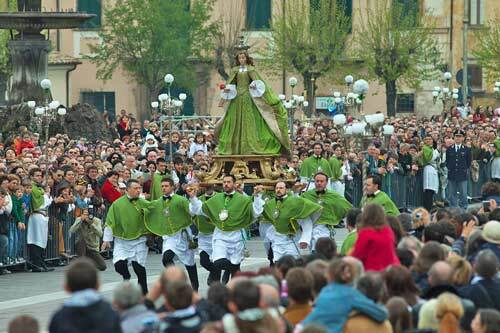 The rites of Holy Week in Sulmona are the most beautiful of Abruzzo, known both in Italy and abroad. 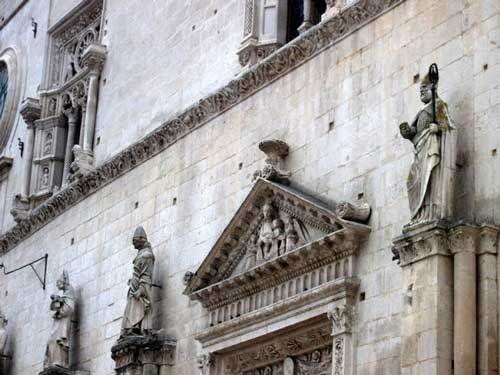 Their origin dates back to the Middle Ages and by the documents are organized by major confraternities towns: the Confraternity of the Trinity and the Brotherhood of Santa Maria di Loreto. 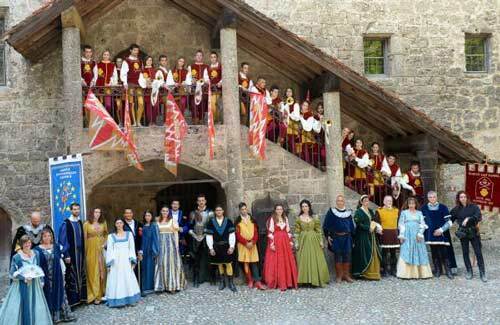 The members of the two associations are called respectively Trinitarians and Lauretani; popularly called also red (the Trinitarians, for their red tunic) and green (the Lauretani, for the color of their mozetta). 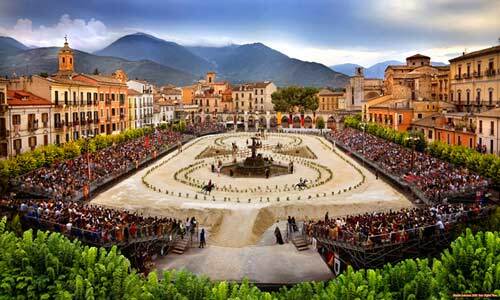 Another festival in Sulmona is the Jousting of the knights in Sulmona. 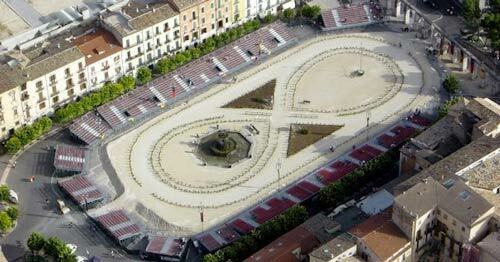 It was structured and carried out from July 1995 thanks to the initiative of a group of citizens. 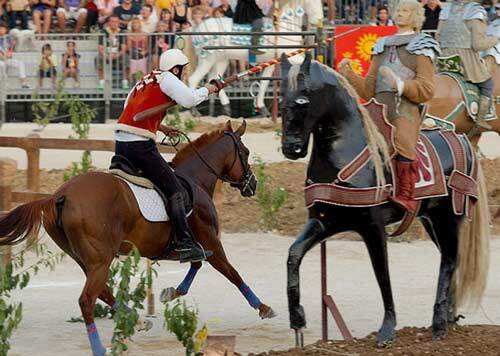 The participation of the four Sestieri and the three villages in which it was divided the city area, which face each other in single combat in Piazza Maggiore (formerly Piazza Garibaldi) where is placed the competition venue.